Come spend a week with us in a supportive, arts-centered community and see what you discover about yourself, others, and the world. Like all young people, you have important gifts to offer. 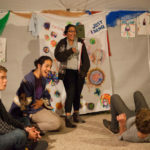 At Power of Hope camp you’ll come to see that you have more skill, talents, and spirit than you ever imagined. You’ll get to explore your creativity with an amazing team of artists who can show you how to use the arts to unleash your power. You’ll learn from youth and adult activists who are dedicated to making a difference in the world. 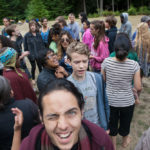 And best of all, you’ll make friends with like-minded youth from all different cultures and life situations, from around the Pacific Northwest and other parts of the US and Canada. 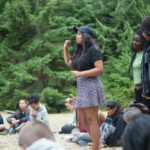 At Power of Hope Camp you’ll experience what it’s like to just be yourself and feel supported by a creative community of all kinds of people. We invite you to join us, just as you are, and be willing to surprise yourself. 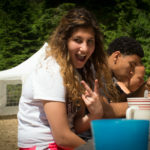 Click here to read more testimonials from campers, staff, and parents.